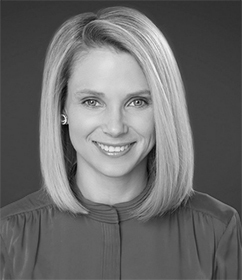 In July of 2012, Marissa Mayer was appointed president and CEO of Yahoo, a company besieged by declining stock prices, layoffs and slowing ad revenue. Tasked with course-correcting the company, Mayer is the fifth CEO hired by Yahoo in the past five years. She is also one of only 20 women running a Fortune 500 company.